Like so many followers of Dr. Michael A. Dirr, I own a well-worn copy of his 1990 edition of Manual of Woody Landscape Plants. He's written more books since then, but I've practically memorized many of his comments in his original tome about certain favorite plants. For instance, when I see a katsura tree, I know what he says about this Japanese native. "...if I could use only one tree this would be my first tree..."
If you've ever seen this tree in spring, summer or fall, you can understand why. The new spring leaves are a striking reddish purple. In summer the color has changed to a bluish green. By mid-October, the color is yellowish green with a tinge of apricot. Plant explorer Ozzie Johnson grows the weeping form right outside the back window of his home in Atlanta. I first saw that tree 17 years ago in fall. I should say I caught its fragrance before I saw it. As fall progresses the leaves emit a smell that reminds me of cotton candy at a fair. Dr. Dirr calls it a "delightful spicy (cinnamon) brown sugar odor." Anyway, this past June when I was in Ozzie's garden, I didn't even recognize the tree because it presented itself as a curtain of beautiful leaves at eye level. I had to look straight up to see the top. The branches cascade down like a fountain. It is breathtaking. But even the more rounded form of this tree is beautiful. I caught the one above in October. Unfortunately, I caught my shadow there at the bottom and someone's red sweater over to the side, but you get the idea of how this tree literally glows in the sun. Deciduous; grows over a large part of the U.S., Zones 4-8; fast growing; plant in full sun and keep evenly watered until established. Be mindful of watering during periods of drought. Dr. Dirr has noted outstanding specimens of the tree near the town square in Amherst, Massachusetts, at Callaway Gardens in middle Georgia, at the Morris Arboretum in suburban Philadelphia, and on the campuses of Michigan State, the University of Illinois, Purdue University, the University of Georgia and the the University of Maine. I have enjoyed this post and also a few others I have just explored. I arrived via Jean's garden recommendation at Blotanical. Great information and beautiful photos here! I have wanted a katsura for my own garden. If one will grow in Atlanta, it should do well for me. Hooray! I certainly appreciate these comments. Now I'll get to enjoy your blogs. Thank you so much for taking the time to introduce yourselves. 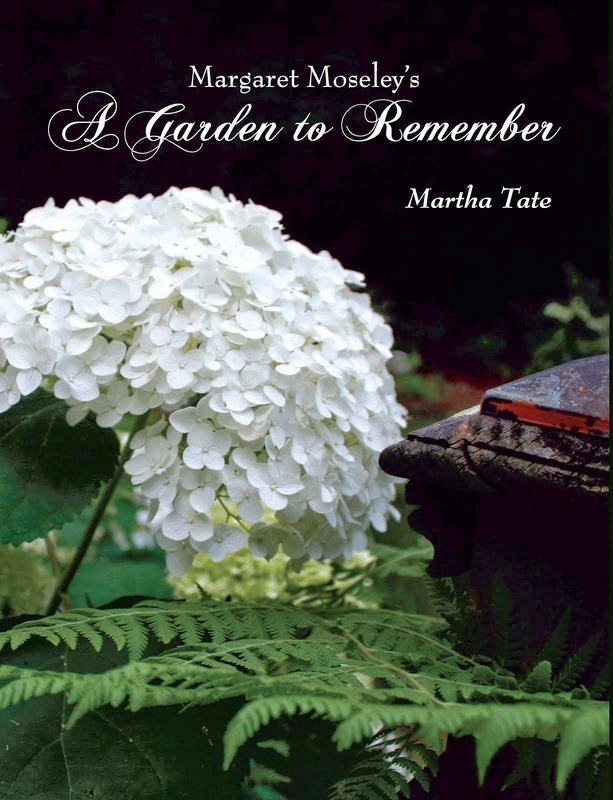 I look forward to reading about your gardens in the future. Jean, that was so kind of you to mention me on your blog. I am so happy to know about you. Deb, a katsura tree should do well where you are. Best of luck. Martha, we are joint honorees this month courtesy of Jeans Garden. I love your blog and can see we have much in common. We moved to this house and the surrounding 5 acres 2 years ago. As soon as we arrived I said "finally I can have a Katsura tree". We planted one this fall. That was after we got the 18', 3" caliper thing home. It involved the trailer being hitched to the truck - and it still overhung by at least 3'. As we made the final turn into our road I had to rush out and cut the string tying it down or we wouldn't have made the corner! Every tree tells a story. Karen, just enjoyed your blog. That's the second time I've seen pink Yuletide. I love it. When my daughter comes home for Thanksgiving, I'll get her to set up some more blog links for me. I've already forgotten how to do it after being shown twice. Already have several to add. 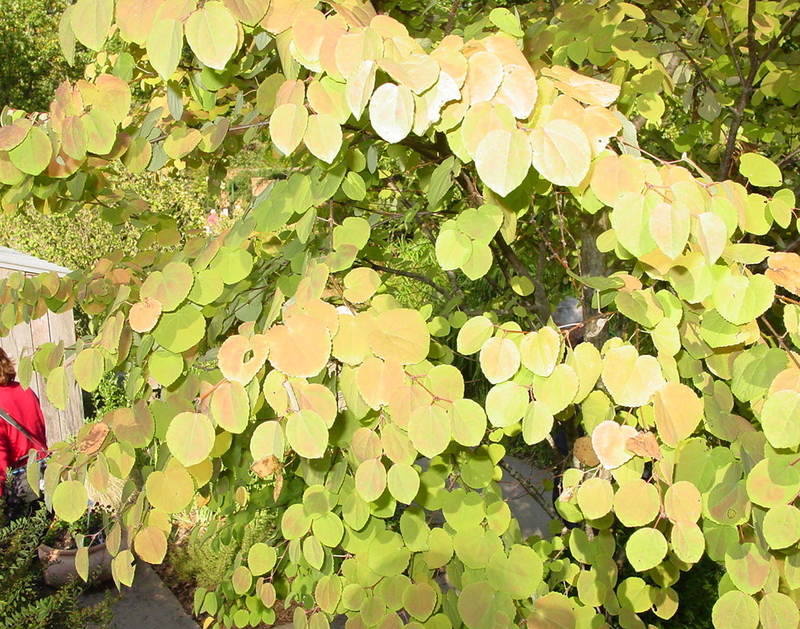 What a story of the katsura tree.